Lately I have been struggling with this weird hunger to be significant. It’s such a strong feeling, and it invades my mind and makes me feel restless. I turn 40 in a few months. I’m getting to that window of weirdness. I’m still 39 but I’m about to jump into the next decade. And getting old makes us think about our lives, evaluate if we are happy with what we are doing with our time, and try to make changes if we think we need to pivot in order to point in the direction we want to go. I think it may be a strategy of the enemy to make people feel like they aren’t enough, and the most vulnerable time to make a person feel this way is right before a milestone birthday. Sort of like a mid-life crisis. When I was 29, I totally had an age crisis. I had two kids, and I was determined to get my body looking the way it did when I was 18. I went to ballet class, I did sit-ups, and I took time to get a few spray tans. I got a waxing for the first time. I chopped my hair to my ears. I also decided that I needed to do something fun, the way I did when I was younger. Andy and I booked a cruise with two other couples, and we had a fabulous time laughing, dancing, and doing all the fun cruise things. Once the big day came and I was 30, I felt totally fine. It wasn’t a big deal. But the days leading up to the big day were so difficult for me. 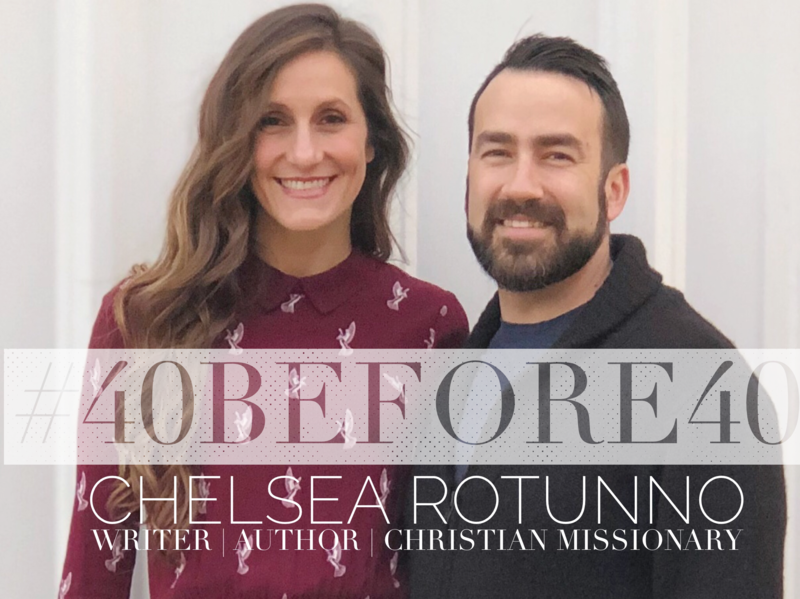 Now, ten years later, the way this insecurity is showing up in me this season right before I turn 40 is in this drive that I have to be significant and to help as many people as possible in as many ways as possible. That means I have to achieve a bigger platform on social media, right? That’s my understanding of how to have a big impact. I need to go wide and reach a lot of people with my stories, my book, my blog posts. I need to get the word out there and get email addresses and be authentic and provide great content and become someone important to the world. I’ve been thinking about how Jesus helped so many people. He would be a total celebrity if he was in the flesh in this day and age. His miracles would be broadcasted on You Tube. And somehow, without social media or the internet, Jesus became the biggest celebrity of all time, with the biggest following, and the best-selling book of all time, every year (the Bible) selling more copies than any other book in the history of books. He never made any money from it. He had nothing when he was alive, and he has no account with his residual income from all his book sales. Neither do any of the guys who wrote the Bible. I mean, if Jesus was here right now in this room. Sitting at the back, listening in. Wouldn’t we all be trying to sit near him? Wouldn’t we be asking to take a selfie with him? Lining up to have him sign our Bibles? Wouldn’t we be so eager to ask him that one question we’ve always wanted to ask God? How did you walk on water? How old were you when you realized you were God? What was the most frustrating thing about becoming a human? How often did you turn water into wine? What was the best trick you ever played on your brothers? Why can’t we see God? Maybe the purest love is doing things without being seen. Would that be why we can’t see God? He loves us and provides for us in so many ways that we don’t even know. Getting credit does not make you more significant than if you don’t get recognized for the good you are doing in the world. “Then Jesus declared, ‘I am the bread of life. Whoever comes to me will never go hungry, and whoever believes in me will never be thirsty. But as I told you, you have seen me and still do not believe. All those the Father gives me will come to me, and whoever comes to me I will never drive away . . . ” John 6:35-37. So I realized this week that I am significant, even if I am not well known. I am feeling insignificant because I am actually starving for the Bread of Life. The anxiety I am feeling about needing to help people, needing to make an impact on the world, needing to be known—it’s a symptom of a need for the true Bread of Life. I am so hungry to be near to Him. Dear Jesus, Please forgive me for desiring my own glory. Please forgive me for thinking that I will be satisfied if I achieve certain successes in my life. Please help me to focus on the things that matter in your kingdom. Please help me to rest in your love. Amen. 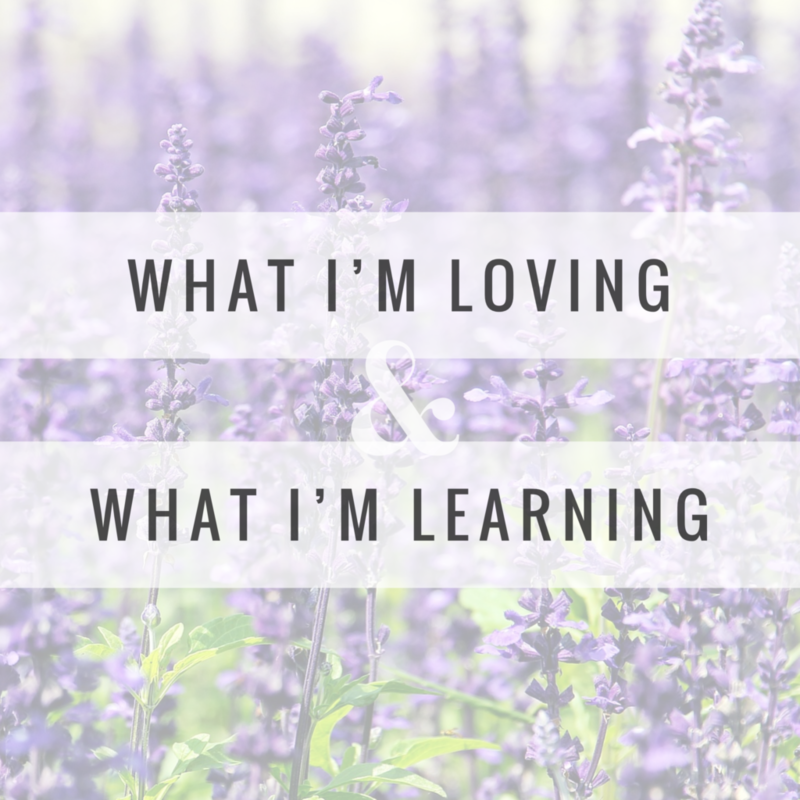 Thanks for joining me in this blog series, #40before40 : What I’m Loving and What I’m Learning. This is post #10. Leave a comment below to let me know you were here. Don’t be shy! Your voice is important.